Through February 10th, Crock-Pot.com is offering THREE highly rated Crock-Pot Lunch Crock Food Warmers for just $33 shipped when you use the code LUNCH at checkout! That's like paying just $11 per lunch warmer delivered right to your door (Retail $29.99 each)! 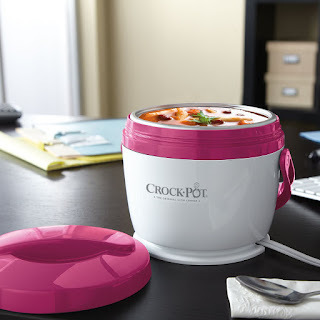 These Crock-Pot Lunch Crocks can be used as both a lunch tote and food warmer so they're perfect for heating leftovers or soups, and great for meals on the go. Even better, the inner container is removable making it easy to clean.